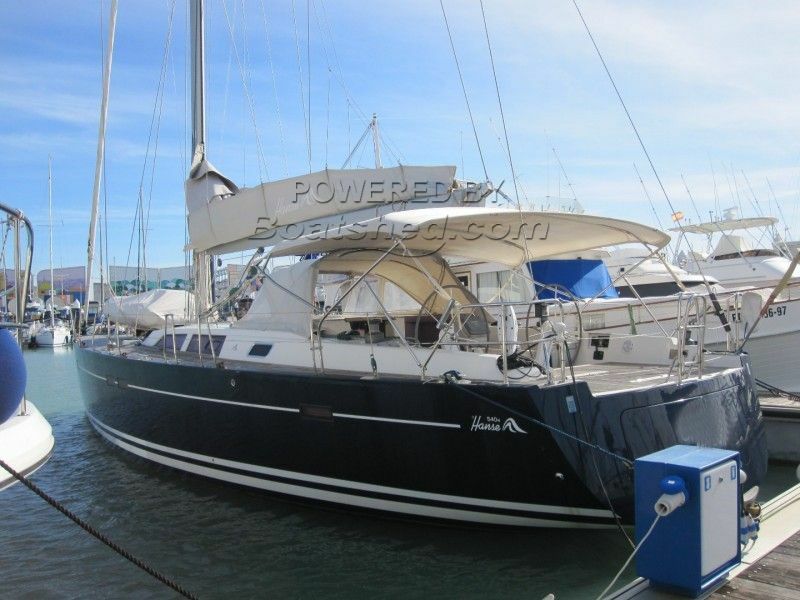 This boat is in excellent condition throughout. It offers major comfort for those long distance journeys. A spacious well equipped galley together with air conditioning will certainly enhance those trips. The boat is extremely well equipped with all the necessary navigational aids. The wide deck offers plenty of space up front for the tender and a magnificent rear deck for lazy enjoyment. A good size rear garage with a hydraulic deck offers substantial storage and a swimming platform when opened. This boat will be thoroughly enjoyed from the onset. It needs to be seen to be appreciated. This Hanse 540 has been personally photographed and viewed by John & Andrew of Boatshed Gibraltar. Click here for contact details.